Painted buntings are one of the most outrageously beautiful birds in the world. When we lived in Florida we found them, but only rarely. We had to travel quite a distance to get a glimpse, and we had to know where they were. In spring in the Texas Hill Country we can look out our kitchen window every day and there they are. 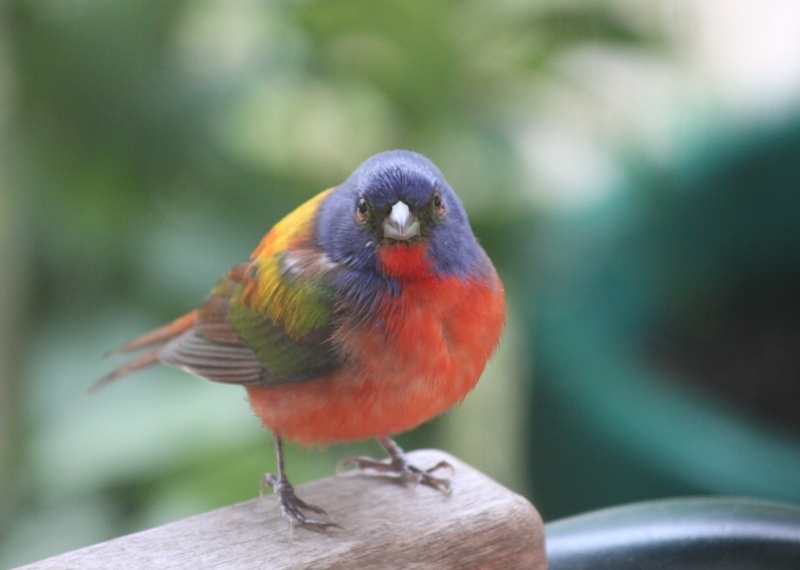 Painted buntings are among the birds that migrate into our yard to enjoy our free, all-you-can-eat bird restaurant. It's a good place to hang out in warm weather and raise a family. And every single time I see one of these impossibly beautiful birds, I think: a miracle. And after watching one of them for a few minutes, I am reminded once again of the meaning of life: to work hard at doing what I do best, for me and my family, and to be my best self, surviving as long as I can. Just as these birds do every day.